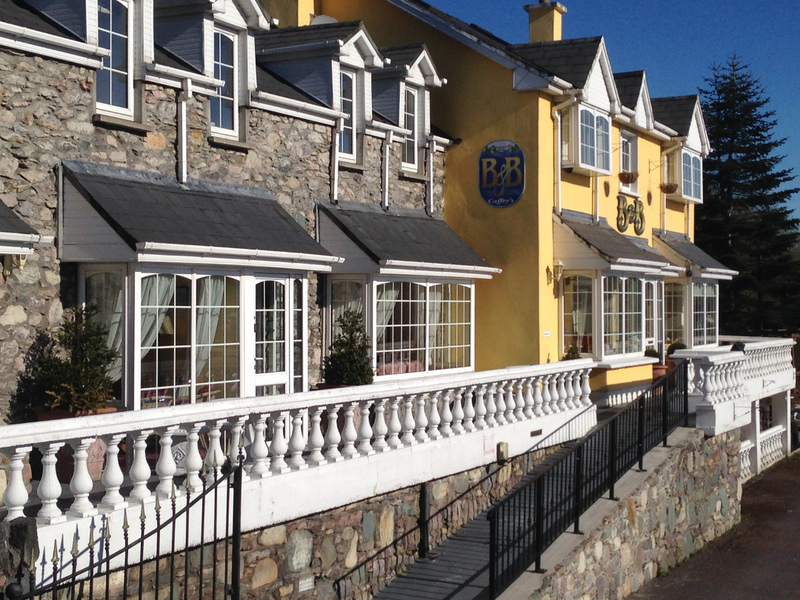 This unpretentious bed-and-breakfast by the River Laune is 3.4 km from the Killorglin Golf Club and 18.6 km from Killarney National Park. Humble rooms with wooden floors are decorated with pine furnishings and patterned quilts for a cosy country style, and some rooms have exposed stonework. They come with en suite bathrooms, cable TV, and tea and coffeemaking equipment. Full Irish breakfast is served in a homespun dining room with views of the bridge. The relaxed lounge has a fireplace, and there’s a sundeck that overlooks the river.